Ocean Falcon, our latest MRV is now delivered from Zamakona, San Sebastian. 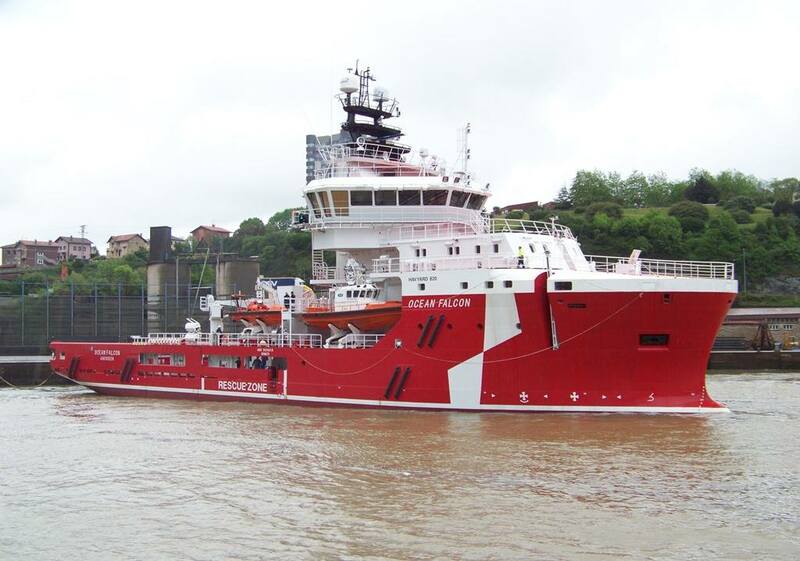 She will now sail for Aberdeen and her naming ceremony Friday 29th May. Ocean Falcon is the last of three HY820 design ordered by Atlantic Offshore. She will commence a 5 + 5 year contract with Shell UK.